We’ve seen a huge number of questionable replicas during our time. 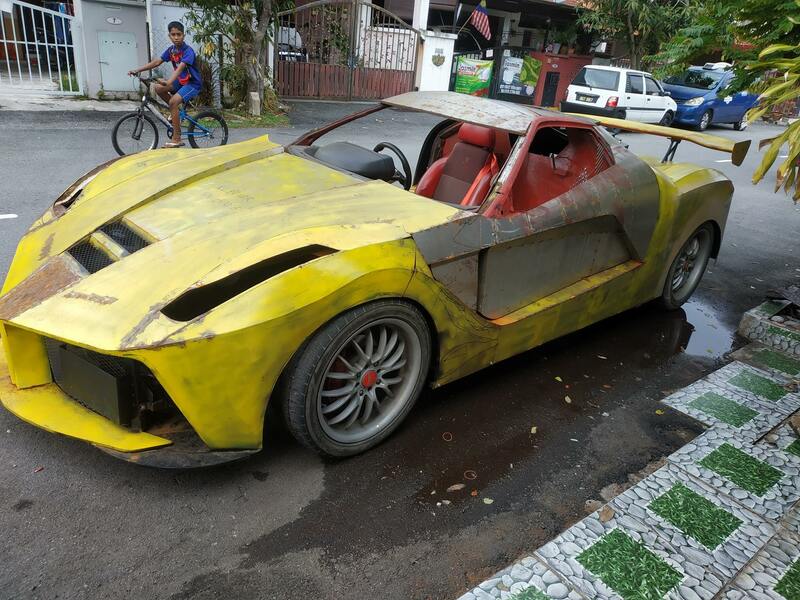 This LaFerrari version recently emerged in Malaysia, hand made from what looks like steel. 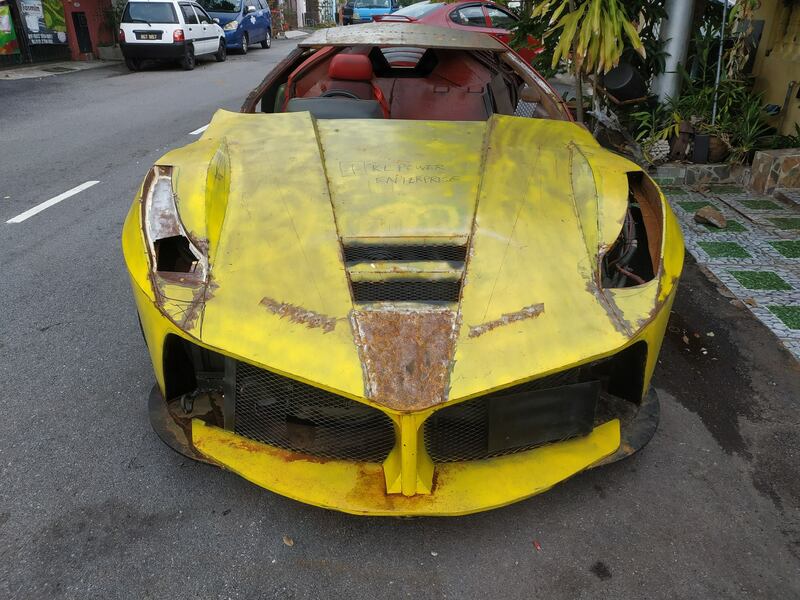 It features elements which resemble the LaFerrari, from its front splitter to its rear bumper. It is by no means the best interpretation! 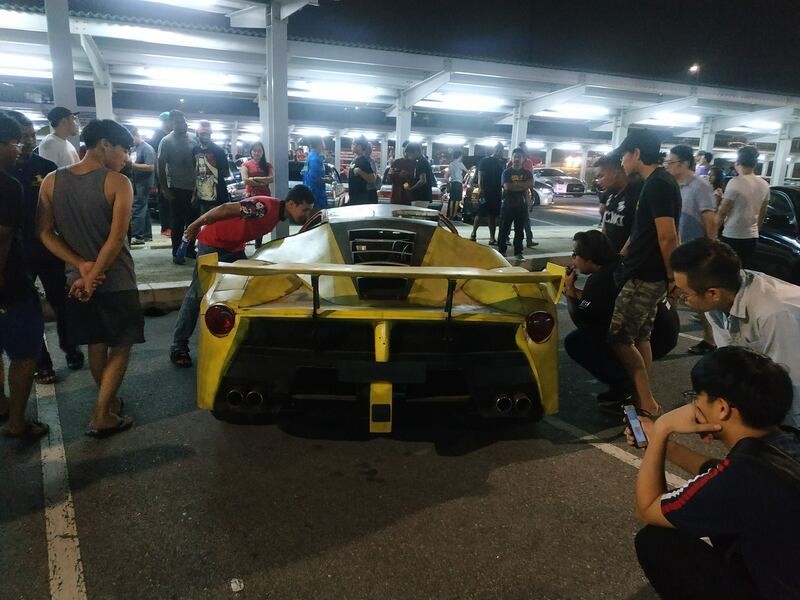 It was spotted recently at a Malaysian car show. Pictures of it were soon unearthed from elsewhere. The owner seems to have created it from scratch using steels framework and sheets. The side profile reveals that it most likely uses a front engine layout, although the rear generates an interesting illusion with a fake engine cover. 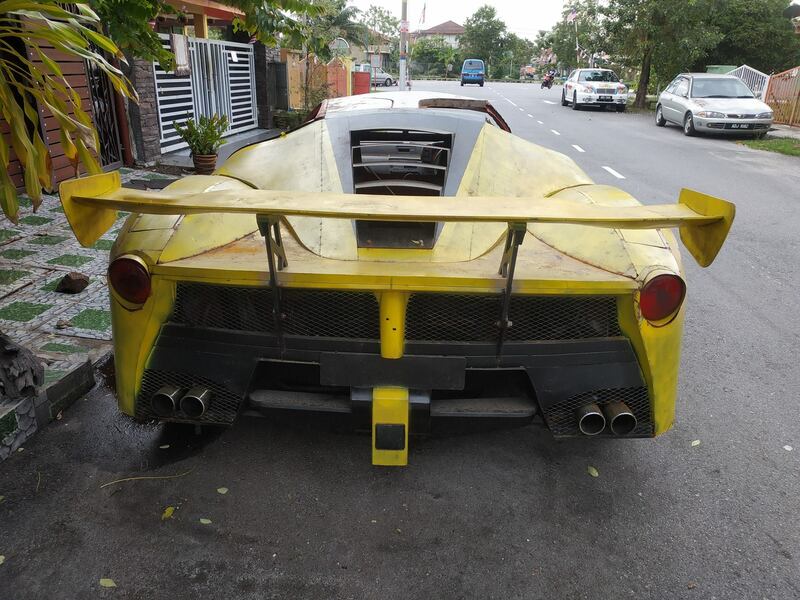 The rear adds a massive spoiler, taking inspiration from something other than the LaFerrari. There is no side or windscreen glass either, and the interior looks unfinished. You can almost guarantee that there is no hybrid performance to be seen under the bodyshell. It most likely features an inexpensive power unit, although the exact specification is unknown. 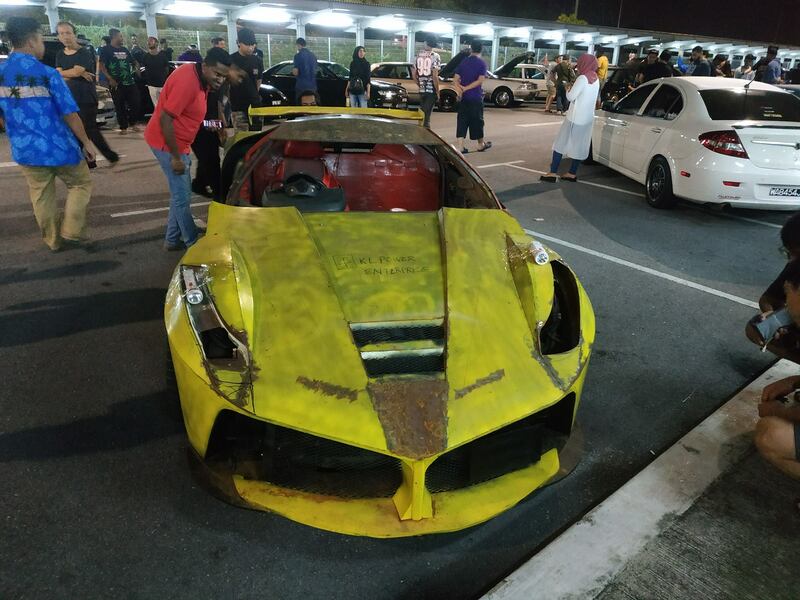 The Malaysian LaFerrari replica joins the Chinese LaFerrari replica we saw some time ago. Given the choice, the Chinese version looks more of the finished package!